First European Franchise 22/11/14 – 22/02/15 at Vanabbe Museum, Eindhoven, Holland. Paul’s Kimchi Co is a company based in Liverpool, England, dedicated to perfecting traditional Korean Kimchi recipes and introducing them to as many people as possible outside of Korea. After travelling to South Korea in 2006, Paul Sullivan – founder of Paul’s Kimchi Co – fell in love with Korean cuisine, in particular KIMCHI! 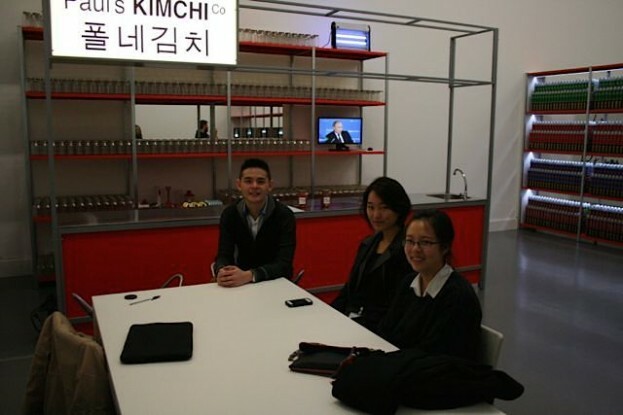 After introducing Korean cuisine and Kimchi to Merseyside via a small pop-up Noodle Bar at Static Gallery, Liverpool between 2008/09, Sullivan dreamed of setting up a small Kimchi making facility that would be dedicated to perfecting traditional Korean Kimchi recipes and introducing them to as many people as possible outside of Korea. 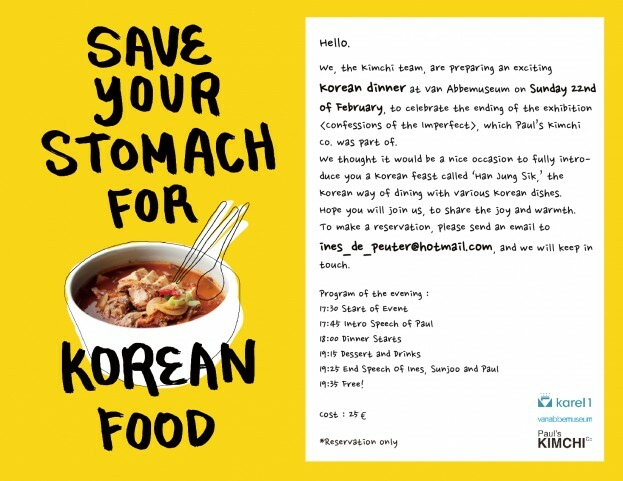 This dream has now come true and Paul’s KIMCHI Co was established in Liverpool/UK in October 2014 and its first franchise will open at the world famous Vanabbe Museum, Eindhoven, Holland from the 22 November 2014 – 22 February 2015.